A Cut Above! 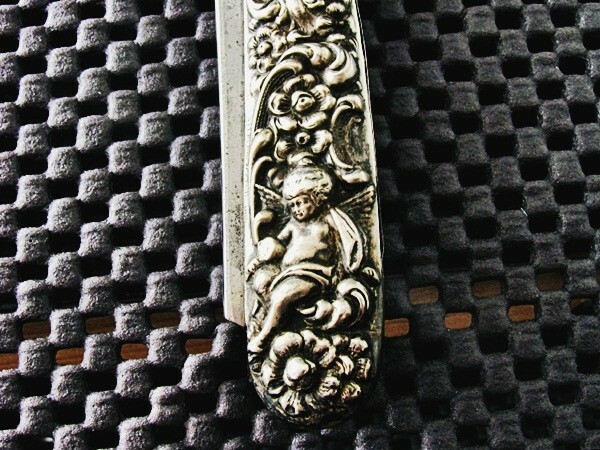 - The Vintage Shaving Shoppe Blog: Congratulations To Winning Bidder: The Unger Bros. Sterling Silver Scaled Straight Razor! 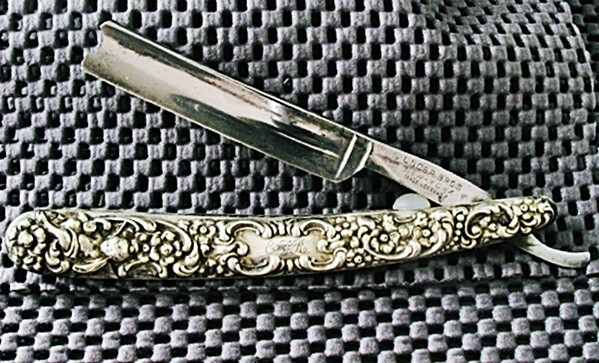 Congratulations to the gentleman with the discerning eye who won our auction on eBay tonight for the rare Unger Bros. sterling silver scaled straight razor. 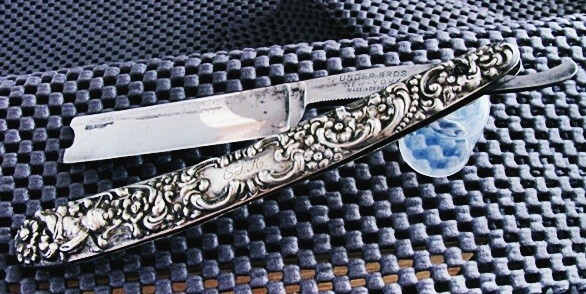 He paid a total of $606 for one of the rarest razors I have ever handled. The spirited bidding started at $299, ascended to $380 where it sat for a few days, before rising to the winning bid price in the last few minutes of the auction. Keep your eyes open for "bargains" like this one. It is the razors that were expensive and rare at the time that they were made, that will end up being the best investments of today and tomorrow. Here is one last look at this fine example of the art of the Unger Bros. of New Jersey before it "disappears" into a private collection. Again, congratulations to the winner!